I think pretty much every parent, at some point, has had their child end up sleeping in bed with them. Or they’ve climbed into their child’s bed to help settle them at night. For a lot of families co-sleeping is a choice that works perfectly and everyone is happy and gets the rest they need. Other families though might find that it’s not the ideal situation for them. If you’re ready to reclaim your bed, and a good night’s sleep, then here are some things you can try to help your child happily go to sleep in their own bed. And hopefully stay there all night long. Make your child’s bedroom a special place for them, full of their toys and books and special things. Then let them play in there during the day, so the room becomes somewhere they enjoy being. This way, when it comes to bedtime, their bedroom should be somewhere they feel safe, secure and happy. If you want your child to sleep in their own bed then do what you can to make it as appealing as possible for them. You can get some amazing children’s beds these days, from fun cabin beds with room to play underneath to gorgeous teepee-covered beds to hide away in. Children’s bed shop have a huge range of beds to get inspired by and to find something to suit your child. Another way to make their bed more appealing is to let them pick out bedding in their favourite colours or with their favourite characters on. If you’ve let the old bath, book, bed routine slip as your child has got a bit older, then now’s the time to bring it back. About an hour before bedtime turn off the TV and other screens. It’s been found that the blue light from screens can interfere with our sleep, so it’s a good idea to stop using them as you get closer to bedtime. Then let them have a bit of wind down time in the bath, before heading to their bedroom to get pjs on and have a story. 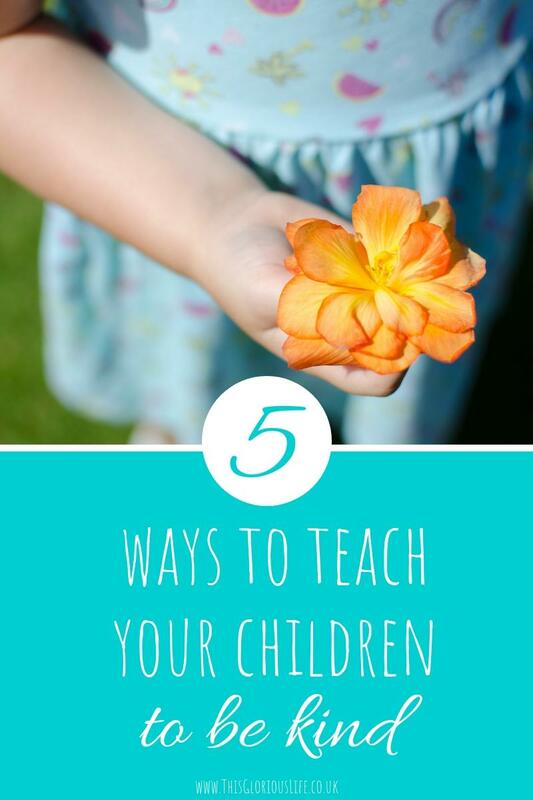 A big part of this is to make sure that you get them ready in their room, not yours. 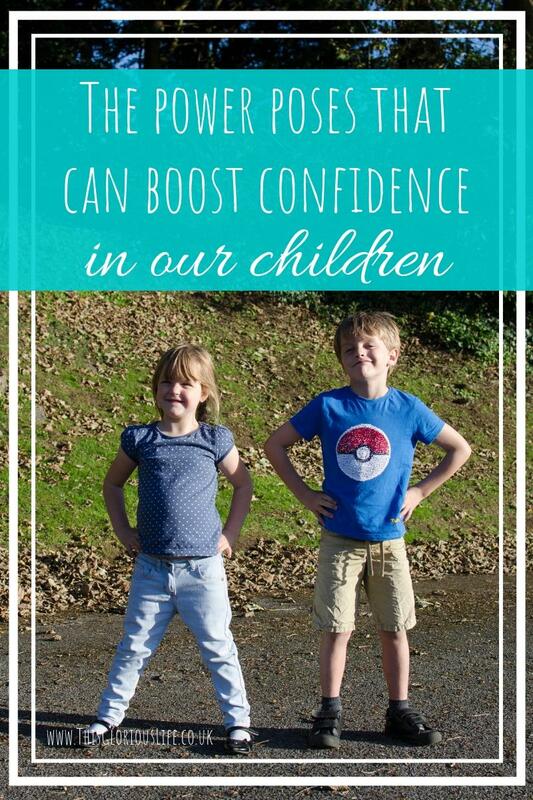 Let your child know during the daytime that things will be different that night. Tell them that they’ll be going to sleep in their own bed and won’t be able to climb into bed with you in the middle of the night. This way it won’t be a shock to them at bedtime and gives them a chance to talk it through with you. Once you start, it’s really important to stay the course. It’s almost guaranteed that your child will get upset about not being allowed in your bed, and there’ll be lots of tears. Try not to just give in though. Now, I’m not talking about leaving your child to cry and get in a state. If they’re upset then stay with them in their room and give them the love and comfort that they need. Once they’re calm keep going back in and checking on them and reassuring them, but stay firm in the fact that they won’t be coming into your bed. You might need to go in, or put them back in their bed, a crazy number of times the first few nights, but if you stay consistent with it and don’t give in you should find that things will get better before long. If your child gets really upset and won’t settle without you in the room you might want to try a gradual retreat. 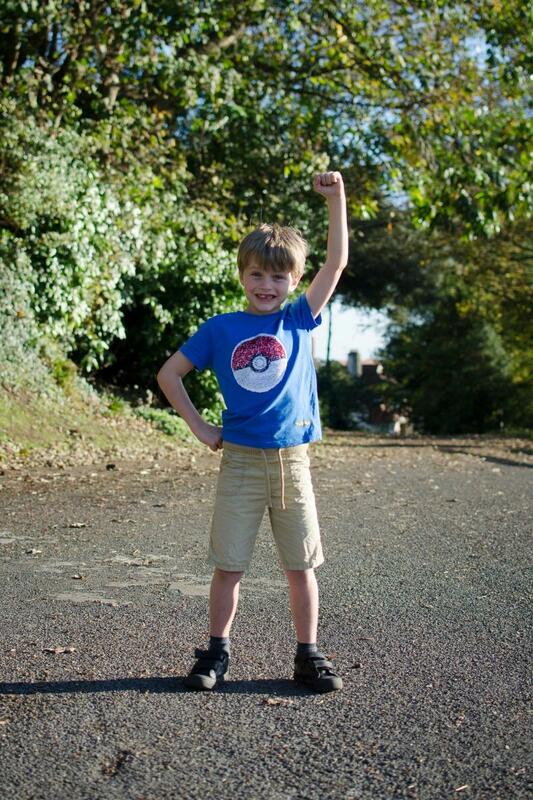 This is what we did with Rhys when he was younger. It did take a while but it worked, and felt much gentler than leaving him to cry it out each night. Basically, if you normally lie down with your child until they go to sleep, start sitting by the side of their bed with a hand on them. Then after a night or two stop putting your hand on them. Each night after that move a little bit further away, until you’re sitting just outside their room. At this point you can start telling your child that you’re going to wash the dishes/tidy up/sort dinner downstairs for a few minutes, but you’ll be back to check on them soon. Make sure you do come back when you say you will to reassure them. 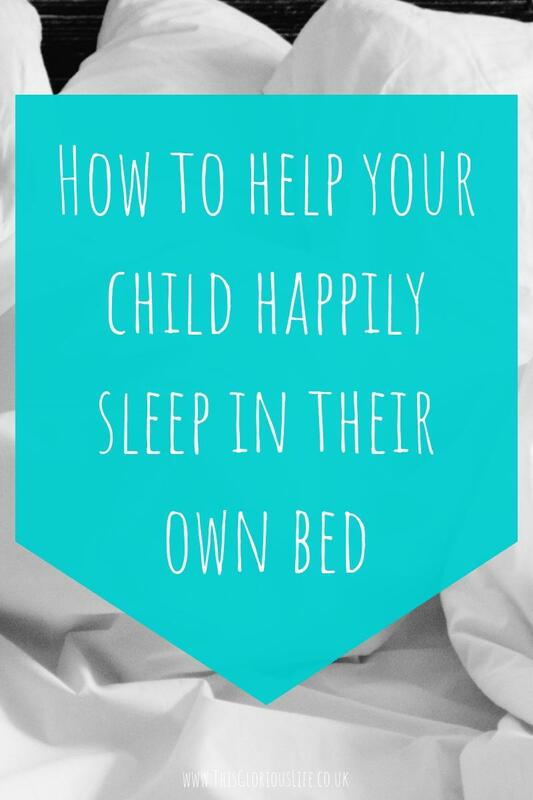 The whole point of this is to gradually help your child learn how to settle to sleep without you being next to them. So when they wake in the night they’ll be able to fall back to sleep by themselves, instead of coming to find you in your bed. Talk to your child to see if they have any particular fears that are adding to the issue. It might be that they don’t want to sleep alone because they’re scared of the dark. In this case you could get them a nightlight, or leave the landing light on and their door ajar. If they don’t like the quiet at night, or hear noises that scare them, then think about playing some white noise for them to fall asleep too. Make sure your child knows how proud you are of them when they do stay in their own bed all night. If sticker charts are your thing then try one of those. Give them a sticker for each night they stay in their own bed, and then at the end of the week you can give them a treat to say well done. If you’re not a fan of charts then make sure to still praise them for every night, or even every hour to start with, that they sleep in their own bed. If your child is used to being allowed to sleep in your bed, or having you sleep in with them, it’ll probably take a while to make changes. But with some time and perseverance you should all be able to sleep in your own beds, all night long, and get the proper rest you need. It may still be several weeks away but it is coming and now is the time to start getting organised to avoid last minute stresses and rushing around. 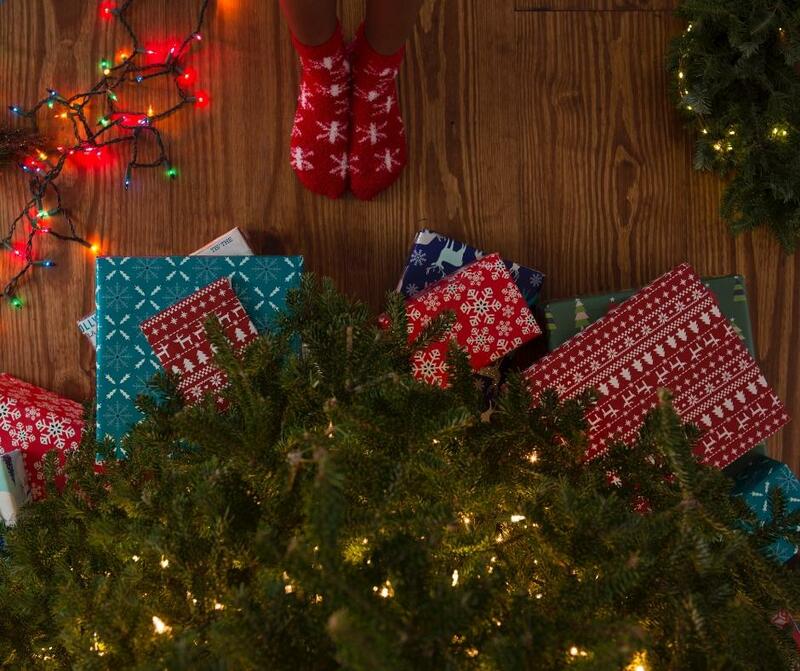 If you want to go into the festive period feeling calmer and more on top of things, these 13 tips should help you get organised and save time this Christmas. If you already have a big family calendar up on the wall then use that, if not get a special one up for December. Anything and everything that you need to do, go to or remember goes on that calendar. As soon as you get the letters home from school about the Christmas concert, non-uniform days, and class parties put the dates on the calendar. While you’re at it add a note with each event as necessary with the things you/your child needs to take along with them. 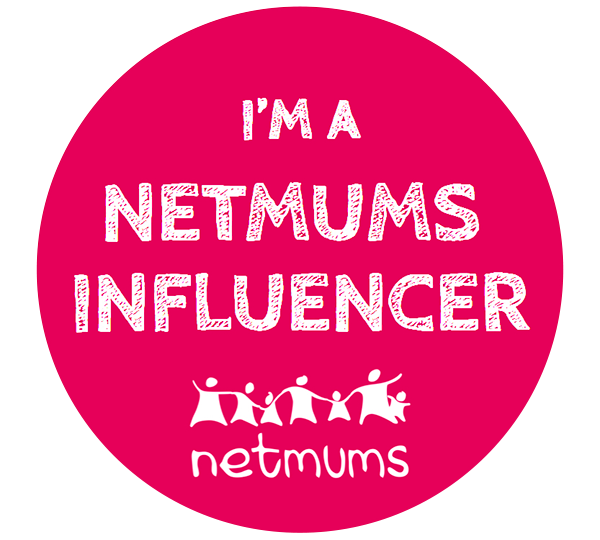 If you need to get bits of Christmas shopping done in town, and could do with some peace to do it, then arrange a childcare swap with one of your friends. Basically, you take care of their children for a few hours one day so they can crack on with their shopping by themselves, and they then return the favour. This is also a great idea for when you need to get other Christmas-related jobs done in peace. Just imagine, you could wrap a whole pile of presents in front of Love Actually completely undisturbed while your friend watches your children. As long as you make sure to do the same for them to keep things fair! You can avoid some of the stress of Christmas shopping by getting started with it as soon as possible. This way you’ll avoid the big crowds and the queues and have more time to find the perfect present for everyone on your list. You can make the whole experience even less stressful by doing as much of your shopping as possible online. If you’re not already a member then think about getting an Amazon Prime account to get next day delivery on loads of items. There’s normally a free trial period so you can test it out and see if it works for you and your family. If there are some presents that you can’t get online then you can still save yourself some time by phoning the shops before you head out to make sure they have what you need in stock. A few phone calls could save you from hours of traipsing from shop to shop looking for the presents you’re after. Some people are just really hard to buy presents for. For these people you could spend hours searching for a gift that you think they might like, or you could save yourself a lot of time and just get them a gift voucher. It might not feel as personal as you’d like, but pretty much everyone is happy to receive one and then get to choose something they’d actually really like. You can save yourself even more time by ordering gift vouchers online. A good safe option is an Amazon gift card as there is something for everyone on there. While you’re doing your shopping thing about picking up a few extra presents to put aside for those people who unexpectedly get you something. A few boxes of chocolates and bottles of wine are always good options, and are also handy to take along to any parties you might be invited to. Instead of battling the crowded aisles of the supermarket (after spending ages looking for a parking space) do your big food shop online. Try and book your slot as early as possible and then you can keep adding items to your basket as you think of them up until the day before your delivery slot. If you have school-age children then you’ll know how tricky it can be to sort out presents for their teachers and classroom assistants. As tempting as it might be to buy a ‘world’s best teacher’ mug, I have a better option for you. Make a batch of something really easy but really tasty, like some chocolate bark or truffles, package them up nicely and give some to each teacher and assistant. You’ll have everyone sorted with something they’ll love in no time at all. Stock up on stamps next time you’re in town. You don’t have to go to the post office to get them, you can a book of stamps from most supermarkets while you’re doing your weekly food shop. Then when it comes to sending out your Christmas cards you won’t have to do an extra trip to the post office. Get your list of everyone you want to send a card to and your address book. Then go through and address all the envelopes first, instead of writing the cards and the envelopes one by one. To make life even easier for yourself next year you can type up all your addresses and make labels that you can just print and stick on the envelopes. To save any frustration or disappointment over Christmas stock up on AA and AAA batteries in advance. Make sure your camera batteries are charged too, and that you have enough space on your memory card for all the photos you’ll want to take. When you stock up on wrapping paper think about getting a different design for each member of the family. This makes wrapping presents for stockings in particular much easier. You won’t be worried about working out which presents need to go in which stocking once you’ve wrapped them all. If you carry on using the same paper for the presents under the tree you can save time by skipping the gift tags. Just tell your family that their presents will be wrapped in the same paper as their stocking presents. Have a piece of paper or your phone handy on Christmas day as presents are being opened so that you can note down who was given what by whom. It might not be the most fun job in the world but will make things so much easier when it comes to writing thank you letters. 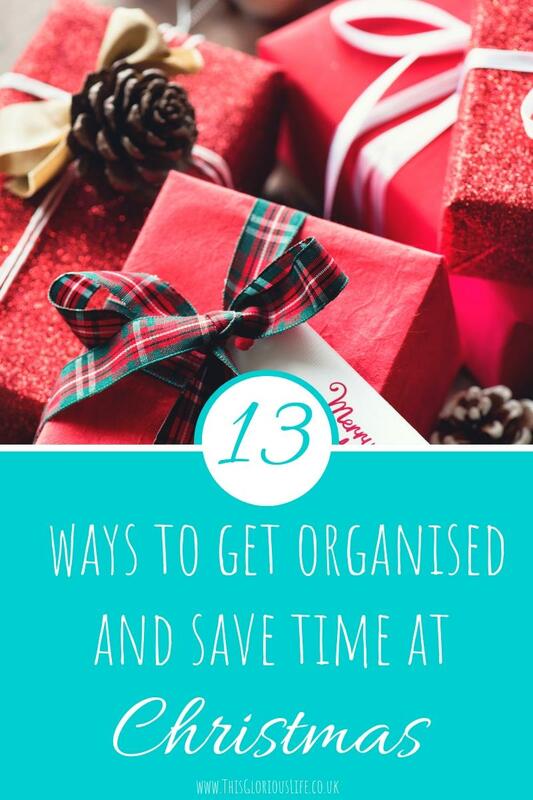 Hopefully these tips will help you get organised and save a fair bit of time this Christmas, so you can go into the festive season feeling full of cheer rather than stress. 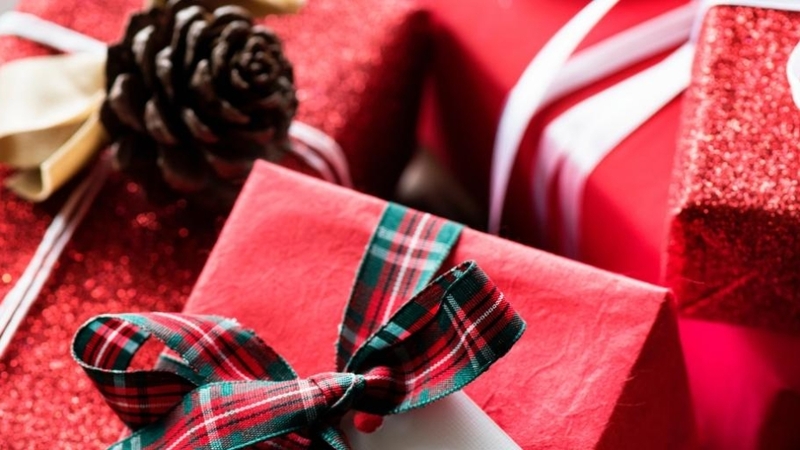 Do you have any other tips or advice to help get organised for Christmas? 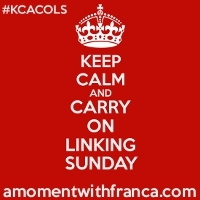 This post is linked up with Blogger Club UK. 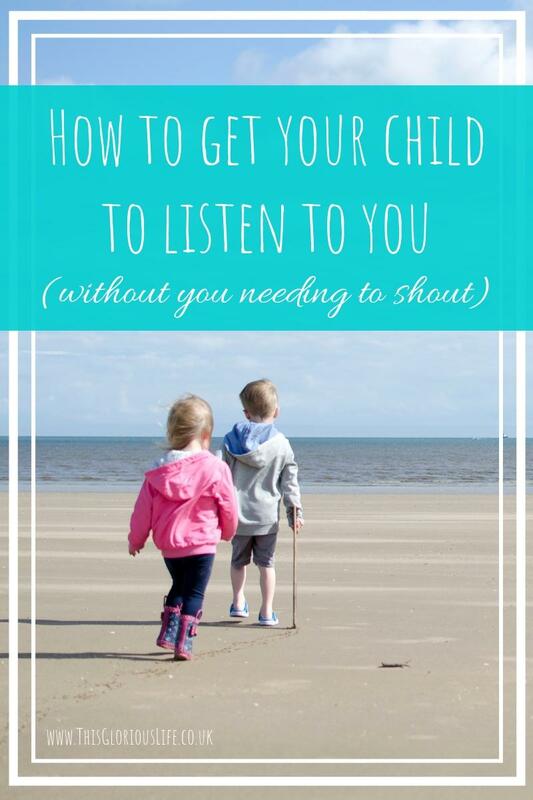 I recently wrote a post about getting our children to listen to us, without ending up shouting or nagging. The main takeaway from it was to look at the way we’re communicating with our children, rather than focusing on the fact that they ‘never listen’. One thing I didn’t really mention though, was how we also need to look at our own listening skills when we talk to our children. If we want our children to listen to us, then we need to make sure we also really listen to them. Our children need to feel heard, to know that we care and that what they have to say is important. 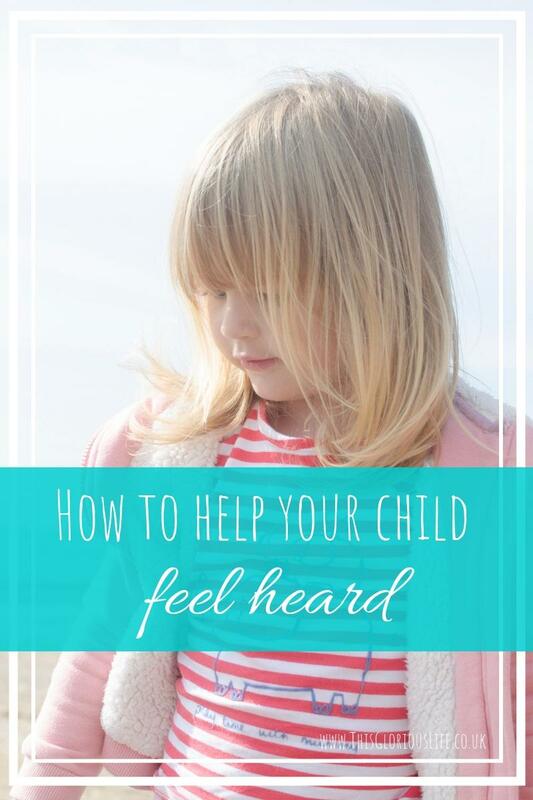 These tips on helping your child feel heard should help if you’re not sure where to start. If your child wants to talk to you, let them talk. Don’t interrupt them or try and ask questions until they’ve finished saying what they need to say. Keep quiet while they talk and don’t try and finish their sentences for them or hurry them along. If you really don’t have time to hear about it at that moment in time, then tell them that kindly and calmly. Let them know that right now you need to focus on cooking dinner, but you would love to hear more about it later. Then make sure you actually give them a chance to tell you about it later. Ok, I know this is easier said than done when your child has been telling you about Minecraft for half an hour, but try your best to show genuine interest in what they’re telling you. There are a few things you can do while talking to your child to show them that you’re really listening and that you care about what they’re saying. The first is to repeat back key things they’ve said to you, or clarify it with them by saying something like “it sounds like you’re saying…”. Sometimes just a little ‘oh’, or ‘I see’ with the right inflection will show your child that you’re listening and want to hear more. Whatever your child is telling you about, acknowledge that it is important to them. Don’t make light of it or belittle them for wanting to talk about it. If they want to talk to you about it it’s because it means something to them and they want to share it with you. Now, in a perfect world we would all follow this advice and calmly and patiently listen to our children talk for as long as they need to, whenever they need to. But I’m not sure that’s realistic for most parents. Our lives these days are really busy. We can feel rushed off our feet a lot of the time, and our minds are always full of the hundreds of things we need to keep on top of. What we can do though is set aside time each day to talk to our children properly. It might be in the car on the way home from school, over the dinner table or a chat at their bedside before they go to sleep. Whenever you chose to do it, make a point of following the advice in this post and really use that time to listen to your child. 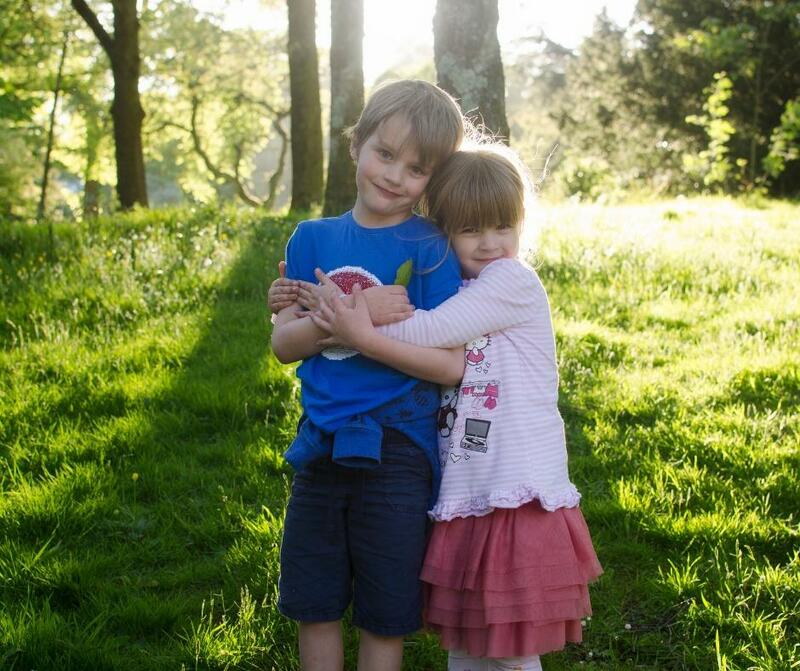 My hope is that by listening to my children as best I can now, about the seemingly trivial things (like Minecraft) and the more important things like what’s happening in their friendship groups, they’ll keep talking to me openly and honestly as they get older. 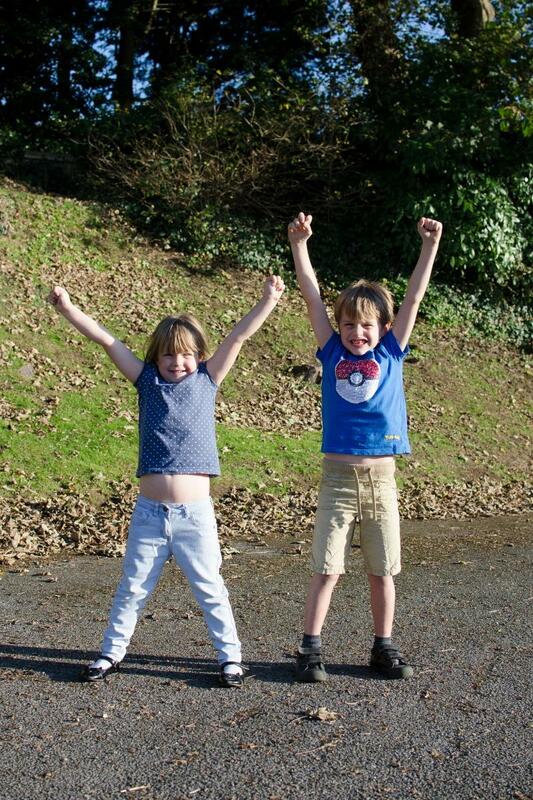 I often look at my children and wonder what they’ll be like when they’re older. What they’ll choose to do with their lives. 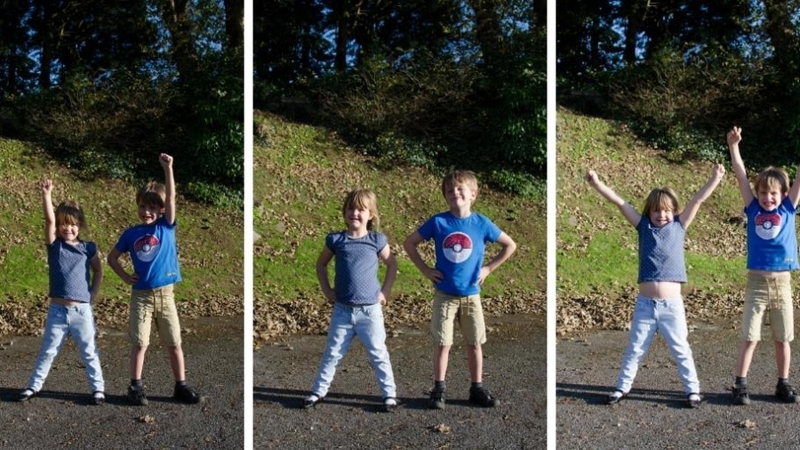 What parts of their young selves will stay with them through to adulthood. One of my biggest hopes for them is that they just grow up to be kind. To be caring and thoughtful, to look out for other people. 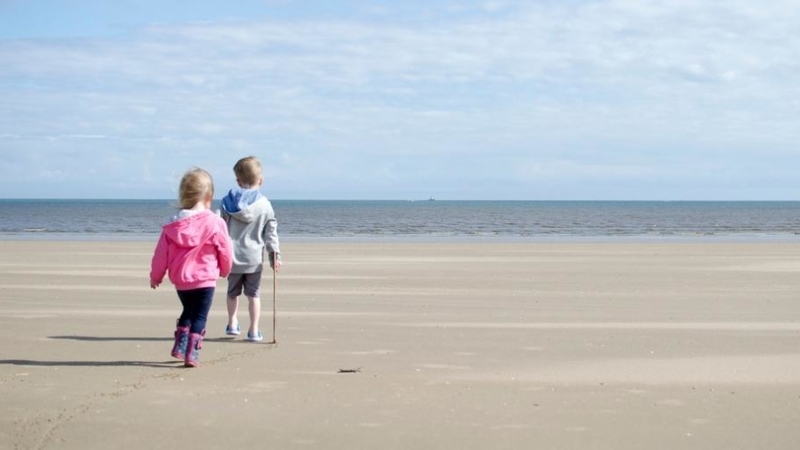 I think that, to some extent, kindness is something that we’re born with, but there are also quite a few things we can do as parents to teach our children how to be kind people. Our children are constantly watching us, and learning from what they see. So make sure they see you be kind as often as possible. Be kind to them, be kind to your partner, be kind to the various people you see as you go about your day. As well as this, try not to do anything unkind in front of your children. I mean, try not to be unkind at all, but especially not in front of your children. None of us are perfect and we all have our moments where we maybe gossip about other people, and say not so nice things, but try not to let your children hear it. Otherwise if you’re not careful they’ll start doing the same. Reading books together is a great way to introduce all sorts of topics with your children. We’ve done with it starting school and when I was pregnant with Nerys we read lots of books about new babies with Rhys. Look around to find books that are age-appropriate and that are focused on the idea of being kind and caring. Take a look at ‘Have you filled a bucket today?‘ and ‘Ordinary Mary’s extraordinary deed‘ to get started. As often as you can, allow your children to practice being kind and caring. Encourage them to help around the house, ask them to look around and see if they notice any little jobs that could be done to help other family members. Talk to them about helping their friends at school if they’re finding something hard, and comforting another child who is upset or hurt. One thing to remember is to acknowledge these acts of kindness, but to not necessarily reward them. We want our children to grow up doing kind things because it’s a nice thing to do, not because there’s something in it for them. Following on from the last point, it is important to notice and acknowledge when your children do nice things. Tell them that you’re proud of them for all the little kind things they do. Then go one step further and explain what it was about the act of kindness that was so nice. Children are still learning about the world so we need to explain the reason behind things sometimes. So explain the reasons behind your actions too. When you put your change in the charity pot at the supermarket explain to your children what the charity is for and how giving money to them can help other people. 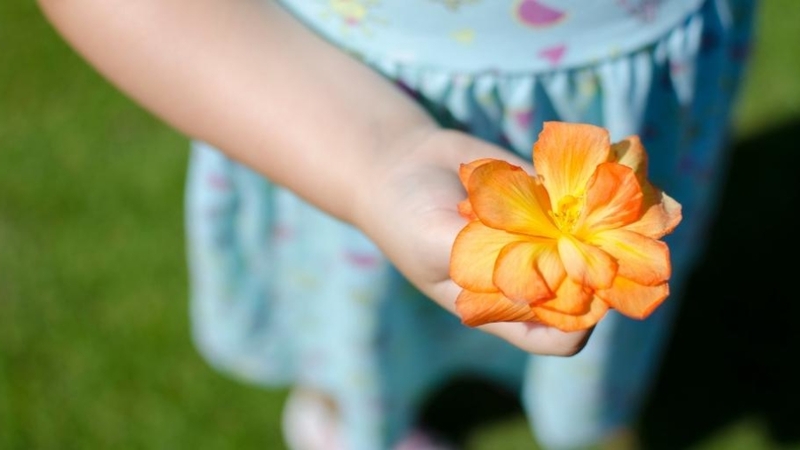 Look for opportunities to carry out acts of kindness with your children. They don’t have to be big, extravagant gestures, and actually more often than not it’s the little acts that mean the most to other people and really brighten their days. If you have the money to spare then you could tape a envelope with a few pounds inside to a vending machine, or hide a few on the shelves of the pound shop with a note instead telling people to treat themselves. There are all sorts of things you can do that don’t cost any money though. 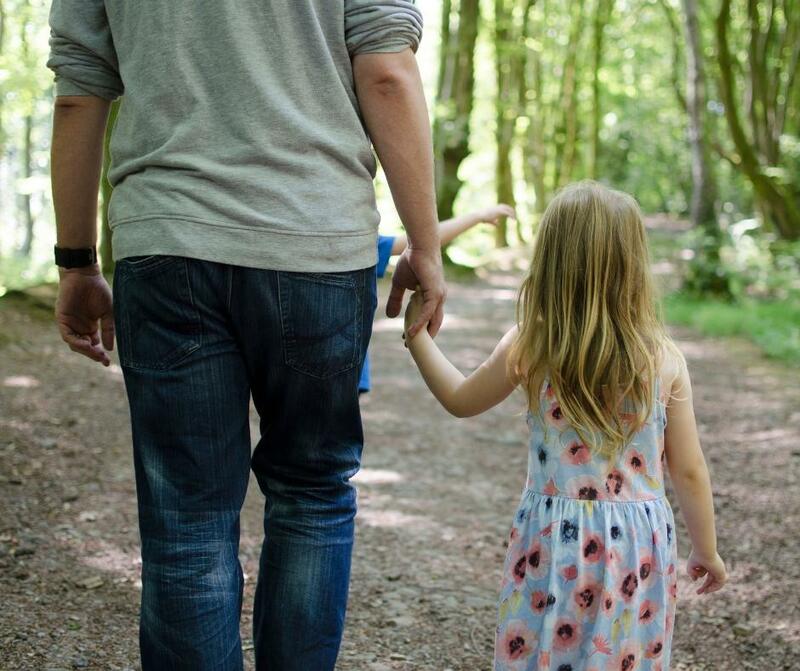 If you see someone drop something then encourage your child to pick it up for them, share your bag of duck food with another family at the park and let the person behind you in the queue at the supermarket go through the till ahead of you. Ultimately, raising kind children comes down to bringing as much kindness into their lives as we can. Then hopefully we’ll help to create the kind of world that really is a little less cruel and heartless, one that’s full of people who are kind and caring and look out for each other. With the change in seasons recently I’ve been going through the children’s clothes, making sure we have enough tights and jumpers and seeing if last year’s winter coats still fit. Now they’re a bit older it’s easier to adjust to the different seasons and I don’t worry so much about how to dress them appropriately for the weather. I remember when they were babies though, and the stress of trying to work out what to put them in and how to keep them warm but not too warm. 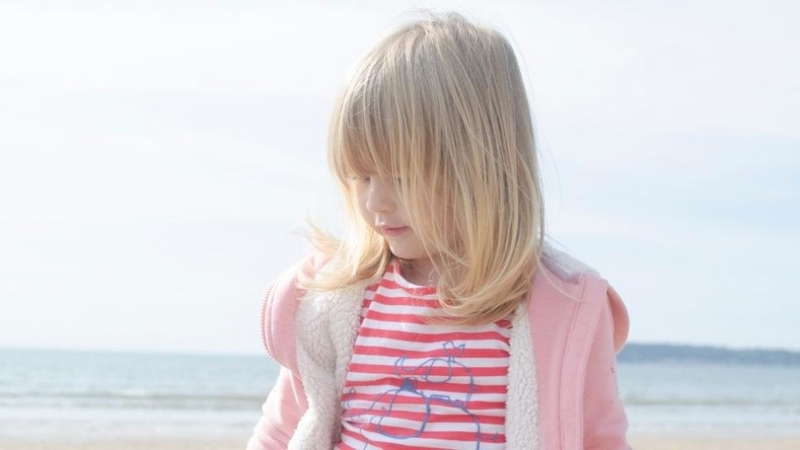 When you’re pregnant you see all these gorgeous pieces of baby clothes and designer kids wear, but don’t always realise how hard it can be at times to know how to dress your child through the year. 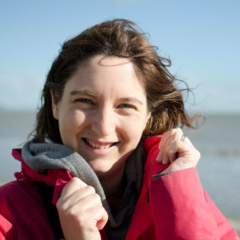 You need to consider a few different things when choosing what to put your baby in during the winter, including where you’ll be going, how you’ll be getting there and how long you’ll be outside in the cold for. 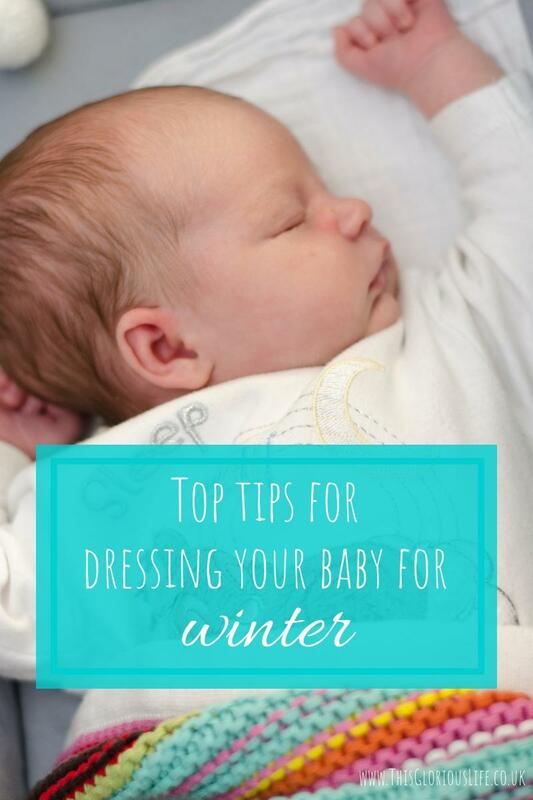 So here are my top tips for dressing your baby in the winter. 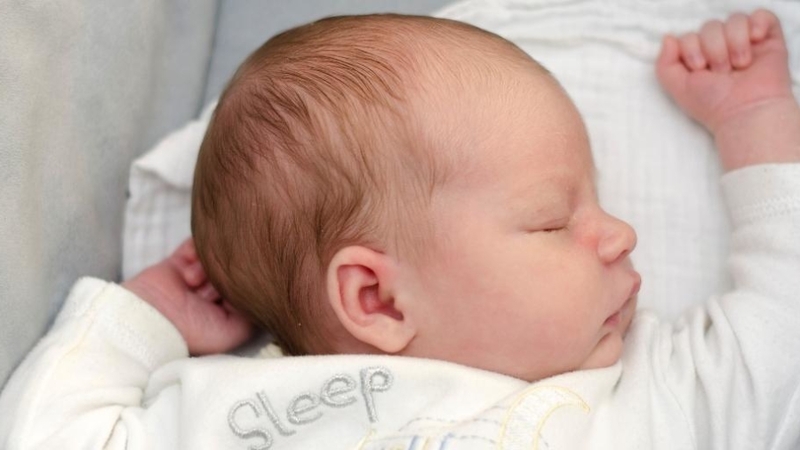 Babies can’t regulate their body temperature the same way that adults can. Dressing them in layers is a great way to easily help them warm up or cool down when you’re out and about. 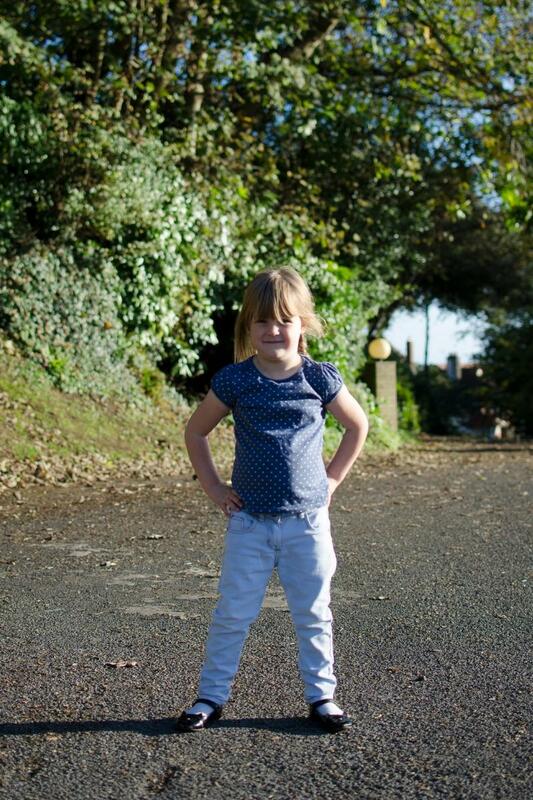 So consider a vest, trousers, socks, top, jumper/cardigan and then a coat or snowsuit over the top. One good tip if you’re not sure how many layers to put on them is to go for one more than you’re wearing yourself. And just make sure to remember to take a layer off them if you head inside where it’s warmer so they don’t overheat. If you’re heading out somewhere in the car then don’t put a bulky snowsuit or coat on your baby until you get to where you’re going. Car seat harnesses need to be fitted close to your baby’s body to be effective, and padded clothing can stop you from being able to tighten the straps enough. The best thing to do is to strap your baby into their seat without the coat/snowsuit on and then pop a lightweight blanket over them (just up to their armpits) to keep them warm. Just remember to take their coat with you to put on them if you’ll be outside for any length of time once you’re out of the car. If it’s really cold out you want to make sure that your baby’s head, hands and feet are covered up. Babies are notorious for pulling hats off but it’s worth persevering with them, or getting a jumper or coat with a warm hood that you can put up around their head. Then pop a pair of mittens on their hands and warm socks on their feet. Most snowsuits for babies have little feet on them too to keep them warm. If you’re taking your baby out in the buggy then you can get a cosytoes liner that will keep them well covered and that you can tuck little hands into if they’re not too wriggly. If you keep these three things in mind then dressing your baby for winter shouldn’t be too tricky. Once you’ve mastered the art of doing it quickly enough that they don’t get frustrated and annoyed with being bundled up before you get out the front door that is!